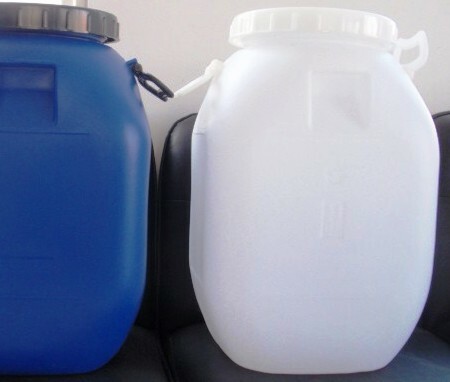 Packing: In 25 HDPE bags with liners or 50 kg MS or HDPE drums with liners. Packing can be given as desired by the buyer. 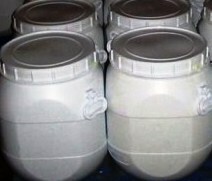 Aluminum Chloride contains not less than 95.0 percent and not more than 102.0 percent of AlCl3, calculated on the anhydrous basis. The average COA is 98%. Water: between 42.0% and 48.0%. Sulfate: The addition of 0.2 mL of barium chloride TS to 10 mL of a solution (1 in 100) produces no turbidity within 1 minute. Limit of alkalies and alkaline earths: To a boiling solution of 1.0 g in 150 mL of water add a few drops of methyl red TS, then add 6 N ammonium hydroxide until the color of the solution just changes to a distinct yellow. Add hot water to restore the volume to 150 mL, and filter while hot. Evaporate 75 mL of the filtrate to dryness, and ignite to constant weight: the weight of the residue does not exceed 2.5 mg (0.5%). Heavy metals, Method : the limit is 0.002%. AlCl3·6H2O -- 241.43 -- [7784-13-6]. 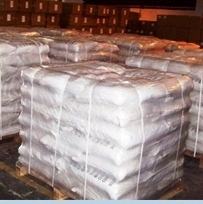 Aluminum Chloride contains not less than 95.0 percent and not more than 102.0 percent of AlCl3, calculated on the anhydrous basis. Identification: A solution (1 in 10) responds to the tests for Aluminum and for Chloride. Sulfate: The addition of 0.2 mL of barium chloride to 10 mL of a solution (1 in 100) produces no turbidity within 1 minute. Limit of alkalies and alkaline earths: the limit is 0.5%. Heavy metals: the limit is 0.002%. Iron: the limit is 0.001%. Content: 95.0 per cent to 101.0 per cent. 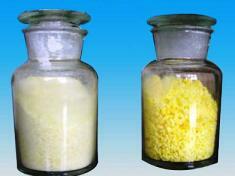 Appearance: White or slightly yellow, crystalline powder or colourless crystals, deliquescent. Solubility: Very soluble in water, freely soluble in ethanol (96 per cent), soluble in glycerol. A. Dilute 0.1 ml of solution S2 (see Tests) to 2 ml with water. The solution gives reaction of chlorides. B. Dilute 0.3 ml of solution S2 to 2 ml with water. The solution gives the reaction of aluminium. Solution S1: Dissolve 10.0 g in distilled water and dilute to 100 ml with the same solvent. Solution S2: Dilute 50 ml of solution S1 to 100 ml with water. Appearance of solution: Solution S2 is clear and not more intensely coloured than reference solution. Sulphates: Maximum 100 ppm, determined on solution S1. Iron: Maximum 10 ppm, determined on solution S1. Alkali and alkaline-earth metals: Maximum 0.5 per cent. Heavy metals: Maximum 20 ppm. Water: 42.0 per cent to 48.0 per cent, determined on 50.0 mg.